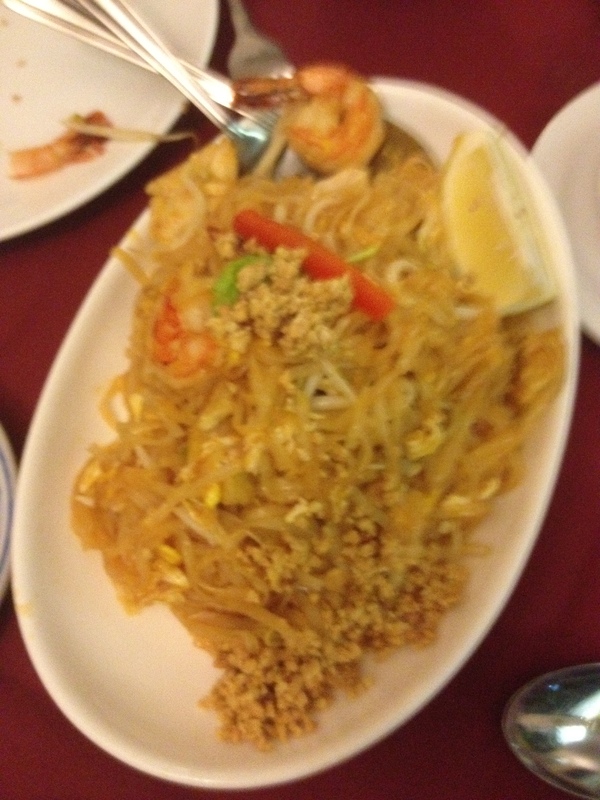 The best thing about Sorn Thai was the service. Our server was totally on top of things, there when we needed her, and really friendly and helpful. I always appreciate good service in a world where I rarely experience it! Sadly, the food wasn’t really up to par. My partner and I ordered our traditional “first meal” at any new thai place: spring rolls, fresh rolls, pad thai, and one other dish (in this case, lemongrass shrimp soup). It was all homey and satisfying (probably because of the palpable amounts of grease, salt, and sugar), but the taste and presentation were pretty lacklustre. The spring rolls seemed like they came from a box, the fresh rolls weren’t really that fresh, the pad thai was high on sugar/low on flavour, and the soup was just too salty. I don’t mean to sound overly critical, because everything was edible, our server was so nice, and the price point was reasonable. But I wouldn’t go back to Sorn Thai for my thai fix. 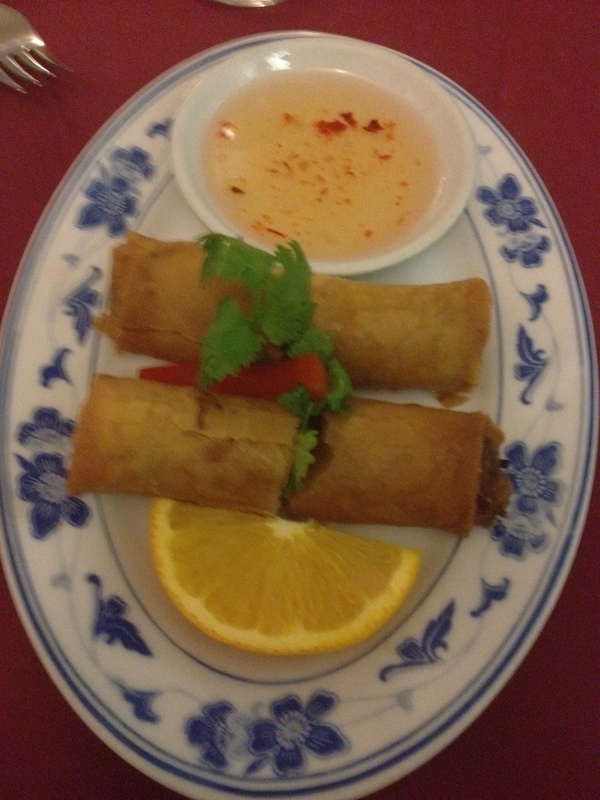 This entry was posted in Restaurant Types, Uncategorized, Viet/Thai and tagged fresh rolls, pad thai, spring rolls. Bookmark the permalink.